Grip strength doesn’t get much love. We hear all the time about strengthening the glutes, hamstrings, core, etc. But, grip strength is a vital part of many, many lifts and exercises. If your grip fails, then the rest of the lift can suffer, or even worse, you may not be able to lift heavier weights and in turn, leave a lot on the table. Also, a strong grip can improve function higher up the kinetic chain at the elbow and shoulder. Many people train their grip strength by doing wrist flexion and extension curls. There is nothing inherently wrong with this, but the carryover to grip strength for lifting is minimal. Think about this. If you are lifting a heavy barbell off the floor, you need to be able to wrap your hand around the bar and maintain a maximally tensioned hand in order to exert force from your body to that bar to move it. By doing wrist curls and moving the wrist throughout a range of motion, this may not carryover well to maximal grip strength. 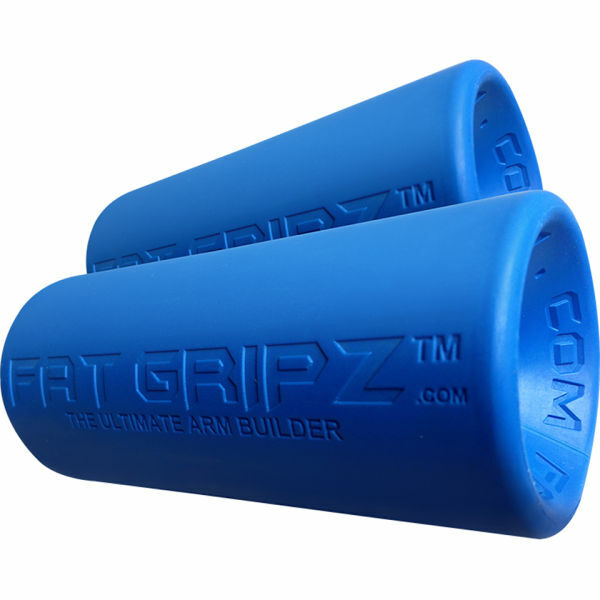 So, if you are looking to take your grip strength to the next level, check out these options. This one often goes unnoticed as an option for improving grip strength. By training your hand and forearms to hold something and walk with it, helps to not only improve grip strength, but also the endurance of the hand, wrist, and forearm musculature to be able to perform for more than one repetition of a max effort deadlift, etc. This sounds simple and lifting heavy weights might be challenging with subpar grip strength, but by training submaximally and increasing your strength base by training submaximally, this can help to improve your grip strength training at lower loads. An often overlooked area is dialing in your starting technique position. If your upper body is in a poor position for the start of the deadlift, it is going to place a greater demand on your grip strength vs delegating the stress throughout the body. For example, if you are lacking proper lat engagement when starting a deadlift, this can increase the demand on the low back as well as on the hands and forearms. By engaging the lats as shown below, this helps to engage the core, decreases strain on the low back, and helps to delegate the stress throughout the body versus to just 1-2 areas. Another area that I find holds people back as they are trying to lift heavier weight is the position of their hand, specifically their thumb. Now, this may sound crazy, but I’ve found anecdotally that thumb position can maximize or minimize someone’s capability to lift heavier weights. By using either of the thumb positions shown above, this can make it very challenging to hold onto the bar effectively as the grip demands increase. The thumb plays a major role in intensifying one’s ability to maximally grip the bar and hold onto it during lifting movements. Also, utilizing only 4 fingers and the muscles specific to those fingers isn’t as strong as utilizing 5 fingers and the muscles associated with those as well. Instead, try wrapping your thumb around the bar and to your hand. Another option is to utilize thicker handles or different training implements into your training for upper and lower body that will tax the grip on another level. You can also implement ropes, towels, or other implements for upper body pulling or lower body training to either have to hold a grip on a wider object OR utilize a grip that is not as easy as holding a bar ie. performing pull-ups holding onto towels vs the bar. -Utilizing Different Implements in Your Training.